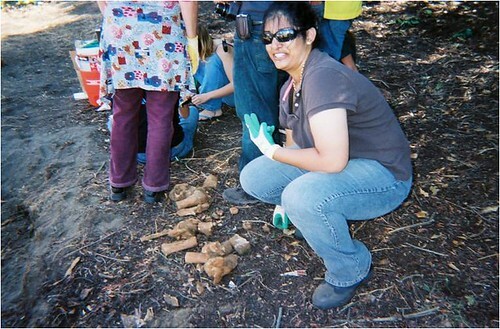 nalini and her precious, deteriorating cow bones, originally uploaded by USF Garden Project. Where did the bones go? 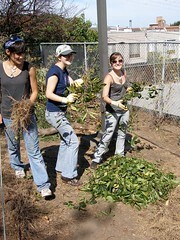 We, the Garden Project, invite you to our Work Party on Saturday, April 12 from 11am – 4pm. Snacks and drinks will be provided, so drop by whenever you can, and bring your own cup (if you have one). Also, wear your grungy clothes and if you have tools, bring them! Please R.S.V.P. by Wednesday, April 9th so that we know how much food to make. Send your response to usfgardenproject@gmail.com and if you need directions to the garden, please email us.